zeb.market flash (Issue 24 – January 2018) U.S. banks had strong capital market performance in the final quarter of 2017—good prospects for 2018? The market capitalization of the global banking industry reached its highest value in three years—all banks EUR 7.7 tr and global top 100 banks EUR 5.6 tr. 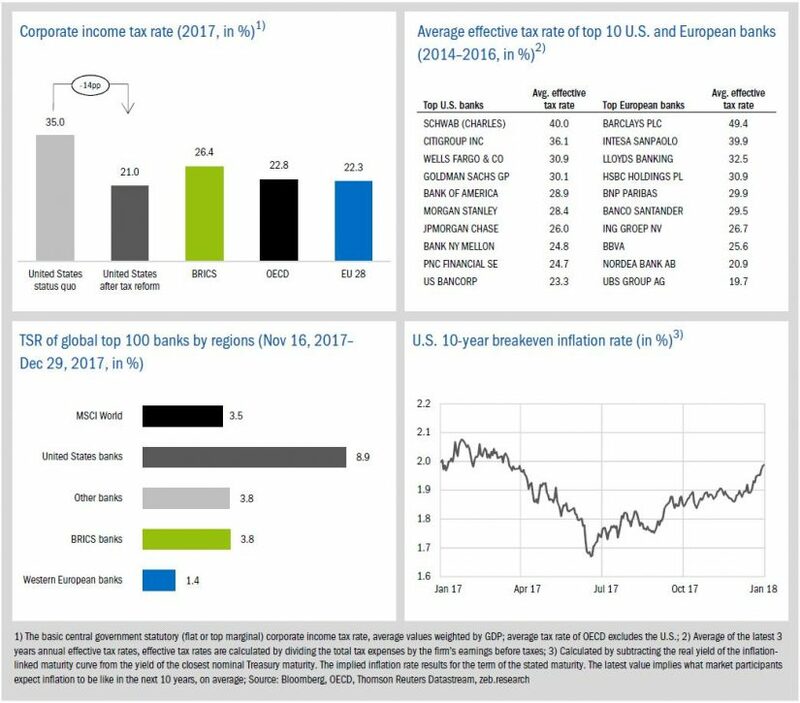 Especially U.S. banks showed a strong capital market performance in Q4, with a total shareholder return of +10.6% (global top 100: +5.7%) and a significant increase of the P/B ratio (+0.16x) driven by increasing U.S. yields and upcoming tax reliefs in line with Trump’s U.S. tax reform. 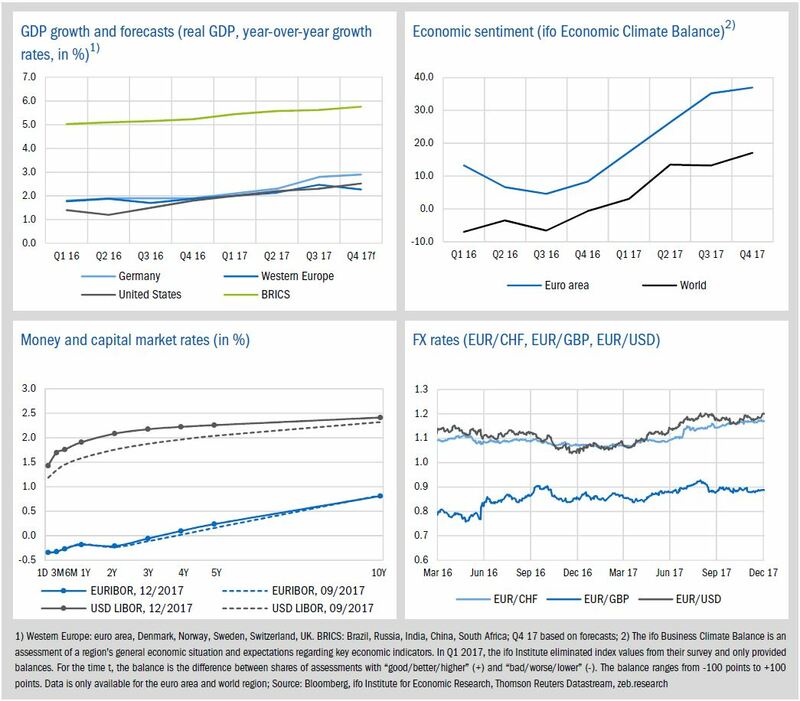 The economic sentiment in the euro area reached a new peak value in Q4 and expected growth remains robust in Western Europe (2.3%), also strengthening the value of the euro currency. In a final act as Federal Reserve chair, J. Yellen increased U.S. interest rates by 25bp for the third time in 2017. 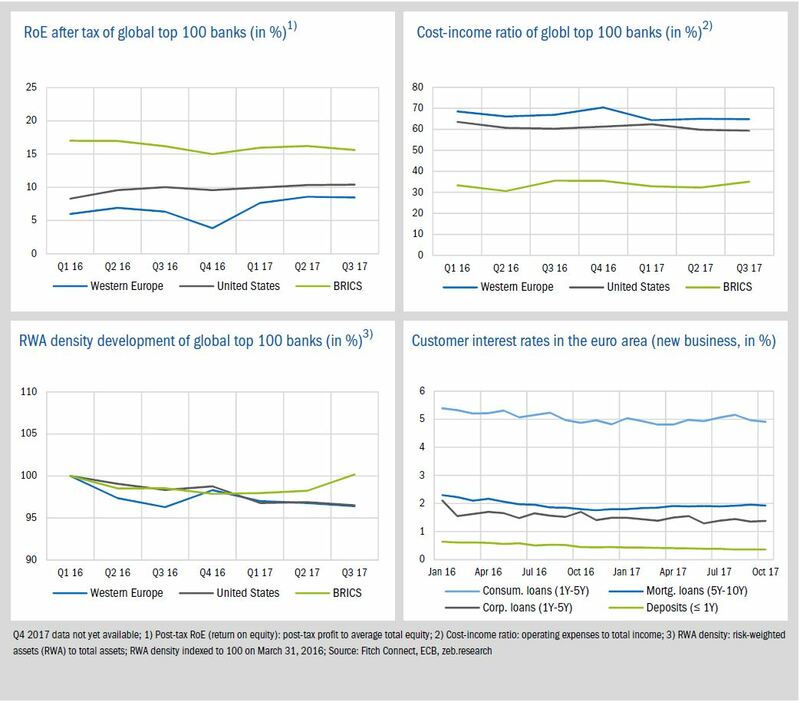 The profitability among the global top 100 banks remained almost unchanged—accordingly, the RoE gap between U.S. (10.4%) and European banks (8.5%) is still about 1.9pp. The new U.S. tax reform bill is the most significant change of the federal tax code in over 30 years and includes a massive reduction of the corporate “headline” tax rate from its current 35% to just 21%. Despite short-term losses, U.S. banks will be one of the big winners of this reform, expanding the gap to their European counterparts regarding profitability and capital market performance. In the fourth quarter of 2017, market capitalization of the global banking industry continued to grow (all banks +4.9% qoq, global top 100 +3.5% qoq), now reaching the highest value since three years. Especially U.S. banks showed a strong capital market performance in Q4, with a TSR of +10.6% and an increase of the P/B ratio by +0.16x. In Q4, the market capitalization of the global banking industry reached its highest value in three years (all banks: EUR 7.7 tr, global top 100: EUR 5.6 tr). 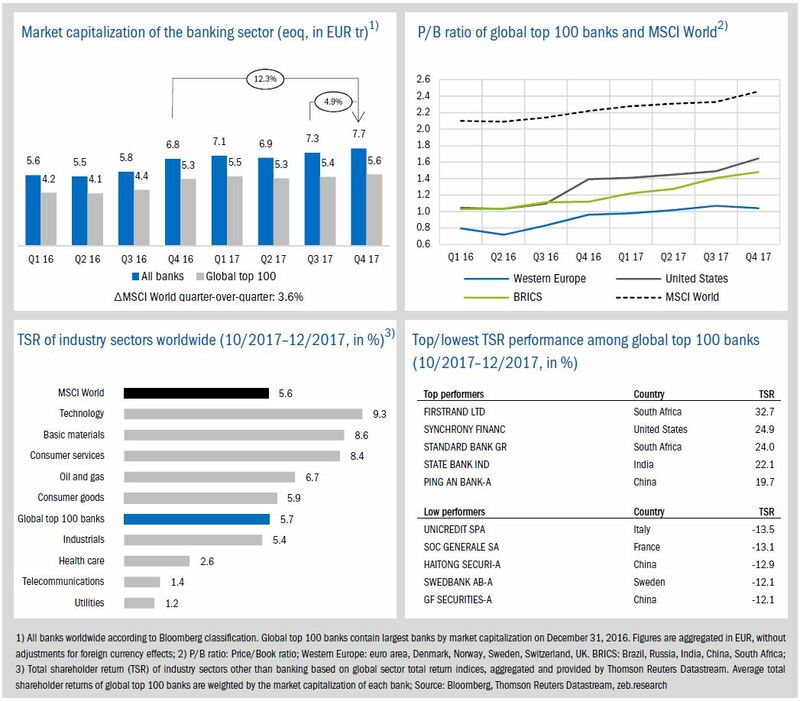 The whole banking sector showed a substantial increase in market capitalization over 2017 by +12.3%, compared to the global market (MSCI World) with just +5.6% yoy. The average P/B ratio of U.S. and BRICS banks continued to increase in Q4 (U.S.: 1.64x, BRICS: 1.48x). Especially U.S. banks’ ratio jumped up by +0.16x (+0.25x yoy). The average P/B ratio of European banks slightly decreased but remained just above the level of 1.0x. -1.7% of European banks, global top 100 banks reached a TSR performance of just 5.7%. Three European banks are among the TSR low performers in Q4, inter alia UniCredit with -13.5% TSR reflecting investor concerns about the impact of the new EBA non-perfoming loan guidance on the bank’s still large bad loans portfolio. Concerning the top performers, two South African banks are listed reflecting positive local political developments. Economic sentiment in the euro area reached a new peak value in Q4 of 2017 and expected growth remains robust in Western Europe (2.3%), which also strengthened the value of the euro currency. With regard to the U.S., J. Yellen, in a final act as Federal Reserve chair, increased U.S. interest rates by 25bp for the third time in 2017, leading to a flattening of the USD LIBOR curve. Apart from slighty decreasing but still robust expected economic growth in Western Europe (2.3%, -0.2pp compared to Q3, caused by the U.K. with -0.4pp and France with -0.2pp among other factors), expected growth is accelerating in Germany (+0.1pp), the U.S. (+0.2pp) and BRICS countries (+0.1pp). The economic sentiment in the euro area continued to soar and reached a new peak value in Q4. The evaluation of the current global economic situation is, again, more positive than in the previous quarter and reached the highest level since Q2 2011. In Q4, the USD LIBOR curve flattened significantly. In reaction to stronger predicted economic growth in the U.S. over the next years, the Fed decided to increase interest rates by 25bp for the third time in 2017. Towards the end of 2017 the exchange rate of the euro against the Swiss franc reached its highest value in almost two years (EUR/CHF: 1.17) and the euro against the USD finished the year slightly above USD 1.20. In the third quarter of 2017, profitability at the global top 100 banks remained—compared to the previous quarter—almost unchanged. Accordingly, the RoE gap between U.S. (10.4%) and European banks (8.5%) is still about 1.9pp. 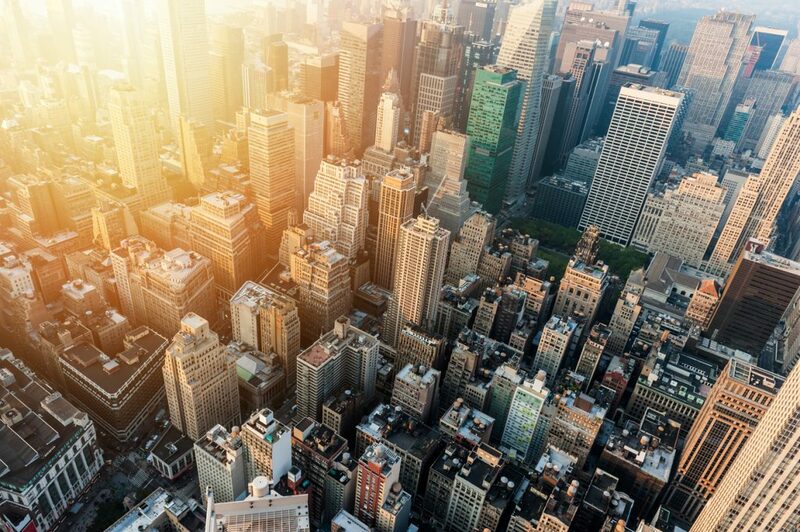 Q4 results of U.S. banks as well as other global banks are expected to be negatively affected by the U.S. tax reform due to significant write-downs of deferred tax assets in the U.S. The slight increase in U.S. banks’ profitbility of 0.1 pp was mainly driven by an extraordinarily strong improvement of Fifth Third Bankcorp (RoE +17.3pp) due to sales of participations. Full year results of global banks are expected to be negatively affected by still weak trading income because of a still historically low market volatility and by the U.S. tax reform. Especially the reduction of the U.S. corporate tax will lead to write-downs of deferred tax assets in the U.S., which will significantly affect the Q4-results of U.S. as well as globally active banks with U.S. operations (see Chapter 3). Following a continuous reduction of BRICS banks’ total assets over recent quarters, RWA density exceeded the level of 100% in Q3. The RWA density of European and U.S. banks continued to fall. Deposit rates in the euro area descended further. Compared to the beginning of 2017, deposit rates decreased by 0.09pp to just 0.36% at the end of Q3. Other customer rates stabilized slightly over the last three quarters. Trump’s tax reform—how will it affect the banking industry? On December 20th, the U.S. Senate approved the long-promised Republican tax reform bill. It is the first major political success for U.S. President Donald Trump and with his signature the legislation will come into force at the beginning of 2018. 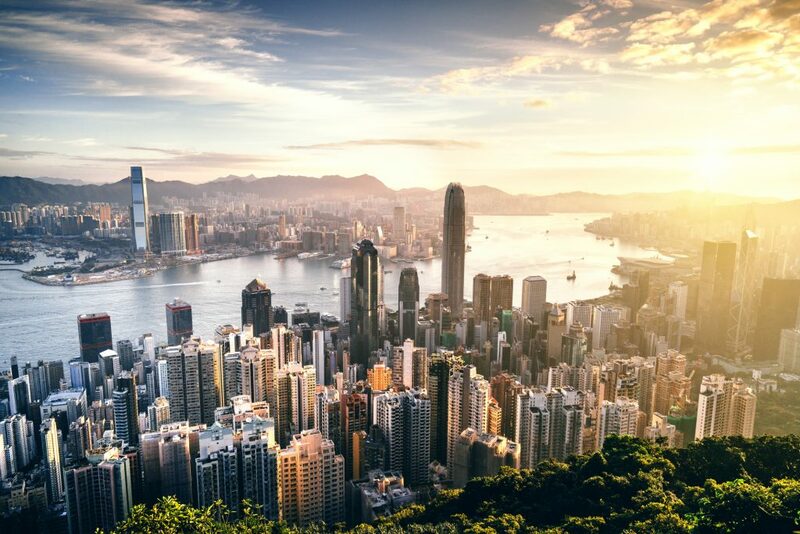 With this reform, the U.S. catches up regarding international tax competition, but the economic implications will likely be noticeable well beyond the borders of the United States. The tax reform bill is the most significant change of the federal tax code in over 30 years and includes a giant tax cut for American citizens and businesses. The key element of the final tax bill refers to the corporate tax and includes a massive reduction of the corporate “headline” tax rate from its current 35% to just 21%. With this reform the U.S.—the country with the highest corporate tax rate among all OECD countries—will decrease its corporate tax rate below the OECD average of 22.8% (GDP-weighted, excluding U.S.) and the average level of all EU 28 countries of 22.3% (GDP-weighted). In addition, a tax due on foreign business earnings is enacted, which means a one-time tax on the repatriation of overseas profits at a 15.5% rate for cash and equivalents and 8% for reinvested earnings. In order to prevent U.S. companies from shifting earnings to low-tax countries via intra-group transactions, the current bill also provides a specific tax—“base erosion and anti-abuse tax” (BEAT)—on payments in line with group-internal services, licenses as well as interest. The lower tax rates will improve the conditions of the U.S. as business location. In particular, U.S. companies currently enduring high effective tax rates and mainly U.S.-based revenues will be the big winners of the reform, including, among other sectors, American banks. The average effective tax rates of the top 10 U.S. banks by market capitalization range from 40% for Charles Schwab to 23.3% for US Bankcorp. By comparison, the average effective tax rate of the top 10 European banks are, in part, of similar size but ranging from 49.4% for Barclays to just 19.7% for UBS—due to the different national corporate tax rates in the EU and heterogeneous foreign operations. In the short term, the reduction of corporate tax by 14pp will lead to massive write-downs of banks’ deferred tax assets which were mainly established after the financial crisis. A lower tax rate will immedialty reduce the value of these assets which will have an one-time effect on fourth quarter results. Citigroup estimates a USD 20 billion write-down on deferred tax assets, Goldman Sachs and Bank of America expect a massive one time hit by USD 5.0 bn and USD 3.0 bn respectively. Moreover, some large European banks such as Barclays, Credit Suisse and UBS will also have to deal with significant write-downs in the U.S. (Barclays: USD 1.3 bn, Credit Suisse: CHF 2.1 bn, UBS: CHF 2.8 bn). Nevertheless, the massive decrease in corporate tax rates will, as a whole, save billions for U.S. banks and therefore increase their profits in the future. According to estimates by Barclays, the U.S. financial industry will be the second largest beneficiary—behind consumer staples—with an increase in earnings per share by around 10% in 2018. These expectations may also be reflected in the TSR performance of global top 100 banks by region. U.S. banks are by far the top performer with +8.9% since the U.S. House of Representatives passed the initial proposal of the bill on November 16 (+10.6% in Q4 in total). While this tax reform will likely stimulate U.S. businesses, it will have consequences for foreign multinationals, in particular within the European Union as one of America’s largest trading partners. 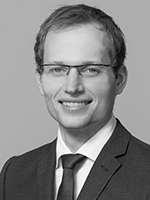 Although European multinationals with U.S. business will also benefit from lower U.S. corporate tax, the BEAT rule disadvantages those companies since cross-border intra-group financial transactions between European parent institutions and U.S. affiliates shall be taxed. 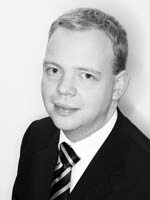 For instance, U.S. affiliates of EU banks must even pay tax on interest paid on the regulatory capital coming from the parent institution that is required by U.S. banking regulations. Overall, these facts could increase the cost of cross-border business with U.S. affiliates and thus could have a noticeable impact on global financial markets. Estimates indicate that—through the U.S. tax bill—U.S. national debt will rise by around USD 1.0 trillion. This fuels inflation expectations and further accelerates an increase to U.S. interest rates and the U.S. dollar. Closely following the final U.S. Senate decision, the 10-year breakeven inflation rate, as a measure of inflation expectation in the U.S., reached its highest level since May 2017. 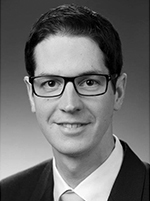 To sum up, the U.S. tax reform will have a positive impact on the U.S. economy in the short term, the long term-effect, both for the U.S. and Europe, remains to be seen. Overall, the new U.S. tax bill will be favorable for U.S. companies including domestic banking institutions. In addition to weaker regulation and increasing yields, U.S. banks will benefit from a further improving economic environment. A lower taxation of future earnings along with the increasing effort of U.S. banks to reduce their equity base (see zeb.market.flash #23) will further enhance their profitability and capital market performance. Although the impacts on the European economy are not clear at this point, especially multinational European banks must review their U.S. business strategies. See letter from the European Banking Federation to the U.S. Congress.